HolHost Review 2019: Is HolHost a Good Hosting? HolHost provides contract-free hosting backed by attentive customer service. Its affordable hosting plans come with unlimited bandwidth and a free domain delivered using U.S. and European servers. Web hosting provider HolHost was founded in 2004. It offers shared Linux, Windows, VPS, cloud, dedicated server, and reseller hosting as well as domain registration services. All web hosting plans come with a free domain, unlimited bandwidth, and no long-term contract. 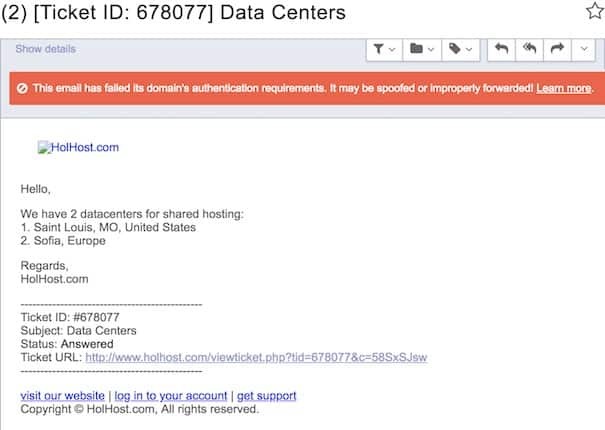 HolHost has data centers in the U.S. and Europe, and its website is in English. The cPanel control panel gives you easy control over your website, and the Fantastico app installer comes ready to install over 200 scripts for additional website functionality such as WordPress and e-commerce tools. The top-tier shared Linux plan provides unlimited SSD storage, unlimited websites per account, and (as per all shared hosting accounts) unlimited bandwidth. Users looking for more advanced hosting could consider one of the unmanaged SSD cloud server plans that start with one Intel Xeon CPU core, 2GB RAM, 25 GB storage, unlimited data transfer, Linux or Windows OS, a U.S. or European data center, and free backups. The next step on the hosting ladder would be one of the virtual private server plans: OpenVZ Linux VPS, KVM Linux VPS, Windows VPS, or Europe VPS. The OpenVZ VPS plan is powered by Intel Xeon processors with 24 or more cores per system; KVM virtual servers feature unlimited bandwidth and DDoS protection; Windows VPS can be hosted on either the New Jersey or California servers; the Europe VPS features free seven-day backup and a 100% uptime guarantee. HolHost’s shared hosting plans’ prices are competitive and comparable with other major hosts in the U.S. and Europe. The entry-level shared Linux plan costs less than a fast food meal per month yet it features unlimited bandwidth, space for three websites, and a free domain. Windows shared hosting can often be more expensive than its Linux equivalent, but with HolHost, Windows and Linux hosting both begin at the same price point. You can pay for plans monthly, biannually, or annually, but there are no discounts for longer terms. Although HolHost’s website includes what looks like a live chat link (which actually says ‘Online’), this leads to the support ticket submission form. If you’d like to try supporting yourself without contacting the company at all, you’ll be disappointed to find that this provider’s knowledge base contains only one article advising you that, yes, they do allow adult websites! HolHost provides affordable hosting plans using servers in the U.S. and Europe. All shared plans come with unlimited bandwidth and a free domain, but best of all: customer service is attentive. Find contract-free hosting with attentive customer service at HolHost . Wondering how HolHost stacks up against other Web Hosting companies? Enter any other Web Hosting company and we will give you a side-by-side comparison.